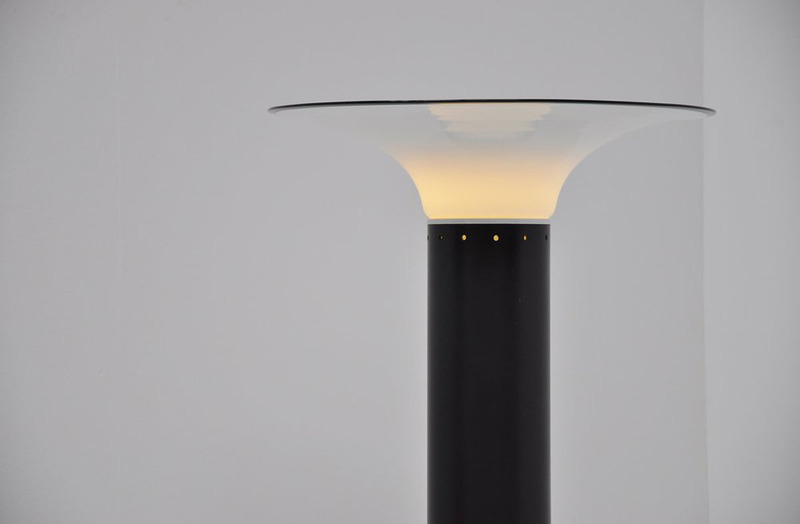 Very nice large floor lamp designed by Gino Vistosi for Murano Italy, 1970. 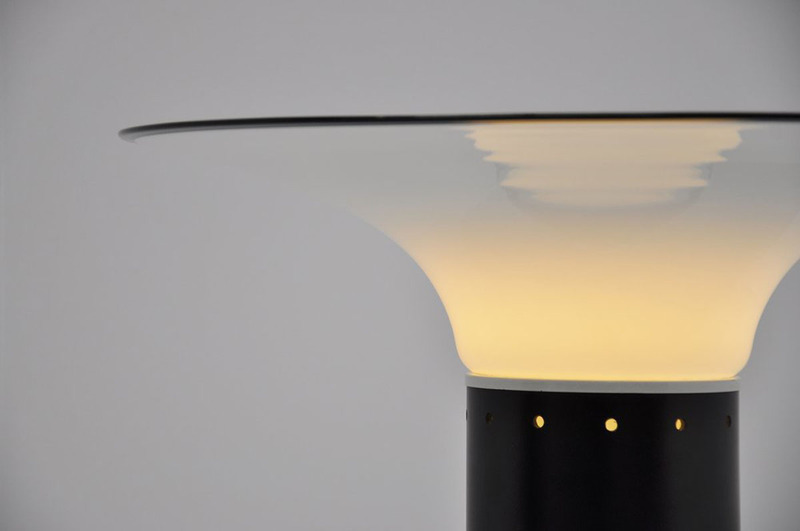 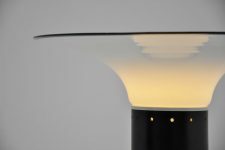 This lamp has a black plastic round foot, white aluminum end and a glass shade. 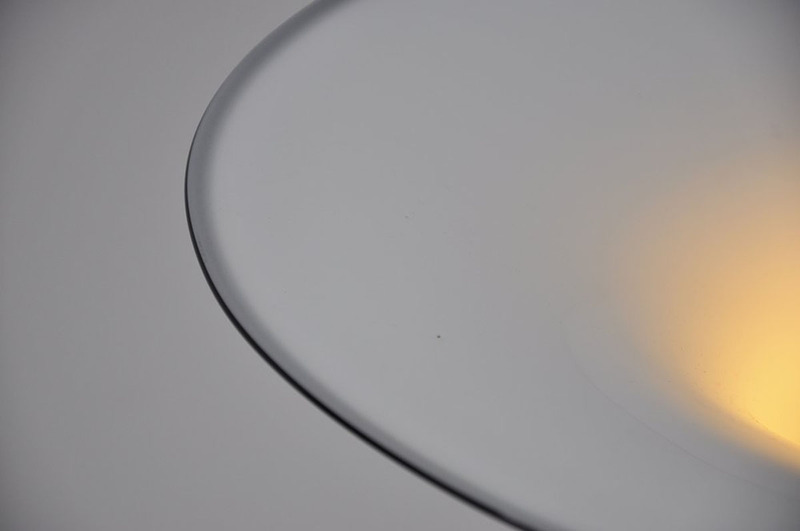 This very nice blown glass shade had a nice shape and is in white with a black edge. 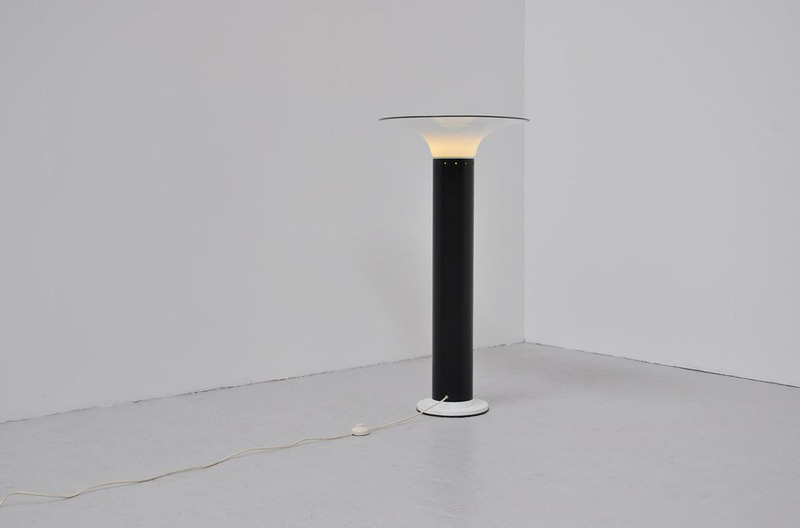 This lamp is in perfect condition and gives very nice warm light when lit.